We are extremely proud to bring to our viewers Secret Closet’s first exclusive designer collaboration with luxury design house Farah Talib Aziz and the official launch of the Secret Closet Estore! 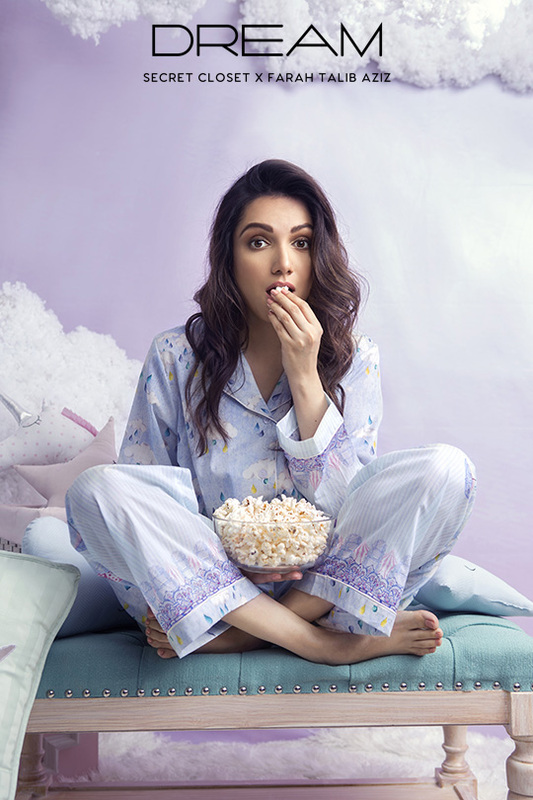 DREAM is a limited edition sleepwear capsule envisioned by Secret Closet and designed by FTA, created in a premium light weight cotton that is super soft to touch and offers a beautiful classic pastel palette and charming digital prints for both women and children. So you can enjoy them twinning with your little ones, for a fun girls night in, and ofcourse to lounge in the comfort of your home. (To visit the Estore click here ). The DREAM journey is one of luxury and fantasy, encapsulating heart warming colors and timeless designs in laid back, relaxed cuts that suit everyone. 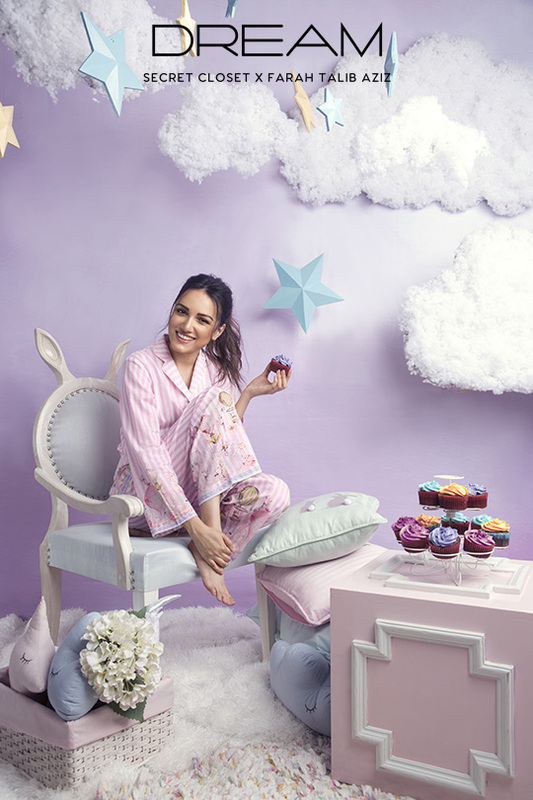 It has been a joy to work on this project and we are delighted to bring you the DREAM campaign featuring gorgeous beauty Meera Ansari in three fun and fabulous designs. A cute classic. This lightweight cotton blend meets a super feminine and summer fruit inspired pineapple print. This soft and light set is everything you need for a peaceful snooze. Ideal for balmy nights, this sleep set is knit from a lightweight fabric in a loose, comfortable fit. Shop Now. Ready, Set, Shoot! : La Vie En Rose by Shamaeel Ansari! Ready, Set, Shoot! 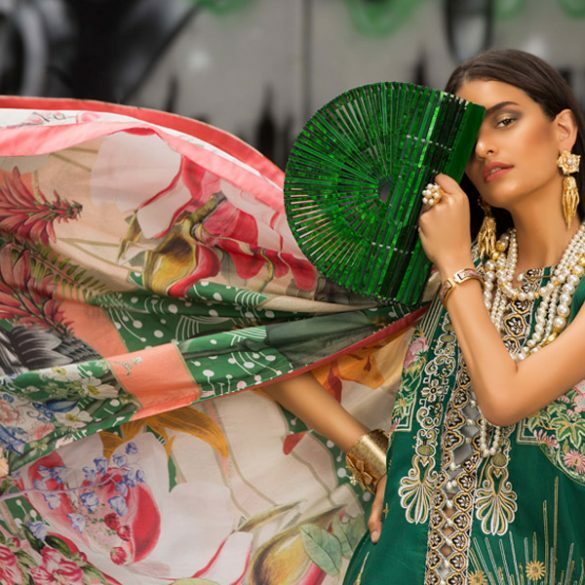 : Summer Of Love-Coco Lawn'18 Collection by Zara Shahjahan!